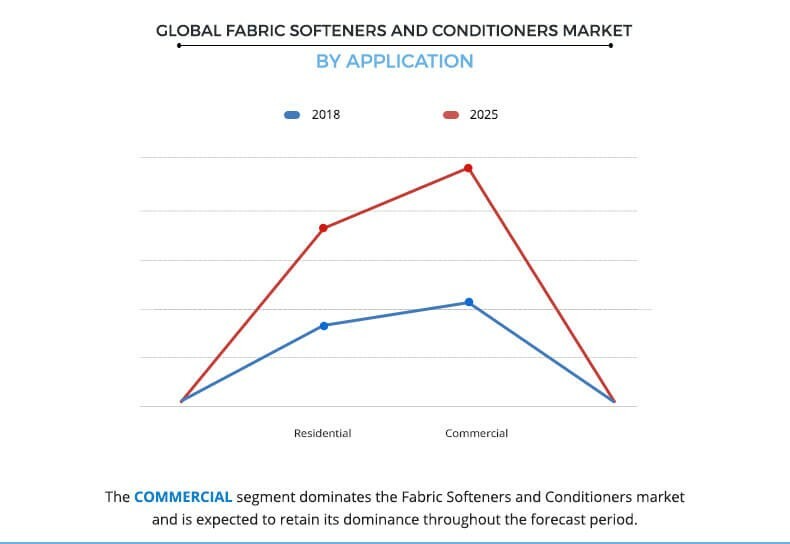 The global fabric softener and conditioners market was valued at $17,545 million in 2018 and is projected to reach $23,529 million by 2025, registering a CAGR of 4.3% from 2018 to 2025. Fabric softeners and conditioners are dispersants or emulsifiers equipped with fragrance along with preservatives such as bronopol, formaldehyde, and chloride to soften clothes and facilitate them with long-lasting fragrance. Fabric conditioners are used to maintain the natural elasticity and smoothness of the cloth. The fabric softener industry is projected to constantly evolve owing to the increase in the demand for clothing coupled with changes in demands of consumers regarding fabric care products. Most of the fabric conditioner companies sell these as individual products in the market as well as pre-added to detergents to formulate products, which can act as both fabric cleaner and conditioner. Consumers prefer to buy such dual purpose products to save time and money. The manufacturers of fabric softeners have developed new & innovative formulations in the fabric softeners & conditioners market owing to the changes in preferences of consumers. These include fabric softener liquids, sprays, tablets, and others. This factor drives the growth of the fabric softeners & conditioners market. Apart from this, the demand for eco-friendly products is expected to provide lucrative growth opportunities for fabric softeners & conditioners market in the upcoming years. The fabric softeners and conditioners market is segmented based on product type, application, and region. Based on product type, the market is divided into liquid softener, dryer sheet and others. 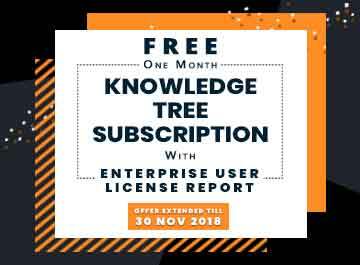 By application, it is classified as residential and commercial. Based on region, the market is studied across North-America, Europe, Asia-Pacific, and LAMEA. By product type, the liquids segment is expected to hold a significant share in the global fabric softeners market owing to the ability of these products to easily mix during the rinsing cycle in the washing machines. Most detergent companies have introduced liquid fabric softeners, which are specially designed for machine wash. Such products have gained high popularity among households, laundry services, textile industry, hospitality industry, and others. High demand from aforementioned industries is anticipated to boost the sales of fabric softeners & conditioners during the forecast period. Fabric softeners & conditioners are used to make the clothes soft, preserve color, and give them a long-lasting fragrance. They are widely used among households, laundry services, textile industry, hospitality industry, and others to eliminate static cling and to ensure the longevity of their clothes. Expansion in textile and hospitality industries is expected to propel the demand for fabric softeners across the globe during the forecast period. By region, Asia-Pacific is anticipated to be the fastest growing segment during the forecast period. Growth in population, increase in the demand for clothing coupled with the rise in popularity of long-lasting softeners, boosts the fabric softeners and conditioners market in the developing countries such as India & China. Furthermore, North America and Europe are expected to witness a surge in the demand for fabric softeners during the forecast period owing to an increase in the consumption of fabric softeners in the laundry and textile industry, coupled with a feeling of maintenance toward the clothes. Some of the key players analyzed in this market are Reckitt Benckiser Group PLC., Dropps, Unilever PLC., Henkel AG & Co. KGaA, Colgate Palmolive Company, Procter & Gamble Co., Lion Corporation, Kao Corporation, LG Household and Healthcare, and The Sun Products Corporation. This report provides a quantitative analysis of the current trends, estimations, and dynamics of the global fabric softeners and conditioners market from 2018 to 2025 to identify the prevailing market opportunities. The key countries in all the major regions are mapped based on their global fabric softeners and conditioners market share. Porters Five Forces analysis highlights the potency of the buyers and the suppliers to enable stakeholders to make profit-oriented business decisions and strengthen their supplierbuyer network. In-depth analysis of the global fabric softeners and conditioners market segmentation assists in determining the prevailing market opportunities. Major countries in each region are mapped according to their revenue contribution to the global fabric softeners and conditioners industry. Market player positioning segment facilitates benchmarking and provides a clear understanding of the present position of the market players. The report includes the analysis of the regional as well as the global fabric softeners and conditioners market, key players, market segments, application areas, and growth strategies. 7.1. RECKITT BENCKISER GROUP PLC. 7.5. PROCTER & GAMBLE COMPANY. 7.7. LG HOUSEHOLD and HEALTHCARE LTD. The fabric softeners & conditioners market has witnessed robust growth in the emerging economies of the Asia-Pacific and LAMEA regions. Innovations in technology and products foster the launch of easy-to-use and effective fabric cleaning & care products. Market players have launched new formulations of fabric care products to cater to the growth in demand for newer fabric care products among consumers. In addition, rise in awareness among customers about environment degradation due to the use of conventional fabric care products leads to the increased demand for eco-friendly fabric care products. Market players have also started to launch eco-friendly products to address the issue of environmental degradation. For instance, TLC Green Concentrated Fabric Conditioner, an eco-friendly fabric care product, was launched by the Truly Loving Company. However, companies need to focus on developing affordable eco-friendly fabric care products. The adoption of liquid detergent has increased in the emerging markets, owing to its ease-of-use and fabric care properties. The global fabric wash and care market has witnessed tremendous growth in the emerging markets, such as India and China. Water scarcity is one of the major issues in most of the countries in the world. Therefore, market players such as Procter & Gamble and Unilever, intend to launch water-efficient fabric care and cleaning products, especially for emerging economies, such as India and China. In addition, these prominent players have adopted innovative marketing and promotion strategies to increase their customer base. Furthermore, other global major market players plan to expand their presence in emerging regions such as LAMEA, owing to minimal scope in the matured markets. Rapid urbanization has led to changes in the demand and distribution of fabric cleaning products in this region; thus, creating lucrative opportunities for the market players. "Fabric Softeners and Conditioners Market"